Expedia has Selkirk packages ready for you. Combining your accommodations and flights is one of the simplest ways to save cash on your upcoming trip. Book your package today on Expedia and save up to C$590*! It's really that simple! With more than 400 partner airlines and 321,000 properties to mix and match from on our international database, you won't have any trouble organizing your ideal vacation. Need more time to decide? There is no extra fee from us when you change almost any reservation. Almost ready to jet off on your Selkirk vacation? Haven't got a clue what sort of things to include in your travel program? No need to fret — we're here to give you some suggestions. For generations, Souris Lighthouse has reliably shown ships the way through darkness and unsafe waters. Stop at this historic tower and hear its story. Adventurers have an abundance of choice close by. Over the years, Annandale Range Lighthouse has dutifully guided vessels through the storm. Stop at this endearing landmark and find out some of its secrets. Still got some time to spare? In the mood for a picturesque afternoon at the seaside? Bring a picnic blanket and find a good vantage point to admire a brilliant ocean sunset at Sally's Beach Provincial Park. There are presently no Selkirk properties on Expedia. However, Bay Fortune, located 7 miles (11 km) away, has a good selection of options available. 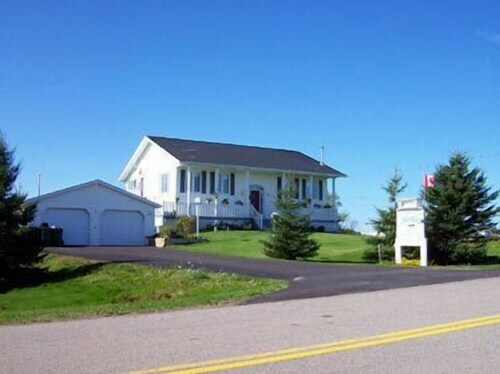 The nicest options in Bay Fortune are The Inn at Spry Point and Tread Softly Vacation Home. Nobody likes hanging around at the airport. But it's well worth it when you think of the adventure that's waiting just around the corner Situated 35 miles (56 km) west of Selkirk, Charlottetown Airport (YYG) is the nearest terminal. Situated in Selkirk, this vacation home is within 12 mi (20 km) of The Myriad View Artisan Distillery, Rollo Bay Greens, and St. Peters Destination Centre. St. Peters Courthouse Theatre is 10.4 mi (16.7 km) away. 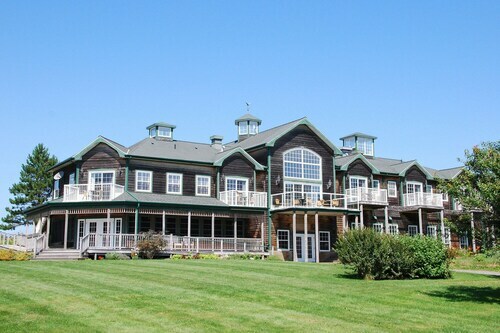 Situated on a river, this spa resort is within a 5-minute walk of Brudenell Golf and Dundarave Golf Course. Brudenell River Provincial Park and Cardigan Area Heritage Centre are also within 3 mi (5 km). Situated in Saint Peters Bay, this aparthotel is within a 10-minute walk of St. Peters Destination Centre and St. Peters Courthouse Theatre. 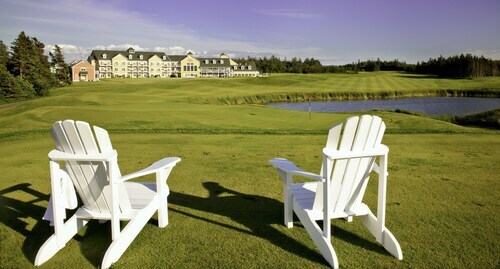 Greenwich, Prince Edward Island National Park and Greenwich Beach are also within 9 mi (15 km). This Lot 38 resort is on the beach, 0.3 mi (0.5 km) from The Links at Crowbush Cove, and within 9 mi (15 km) of St. Peters Harbour Lighthouse and Hillsborough River Eco-Centre. St. Peters Courthouse Theatre and St. Peters Destination Centre are also within 12 mi (20 km). 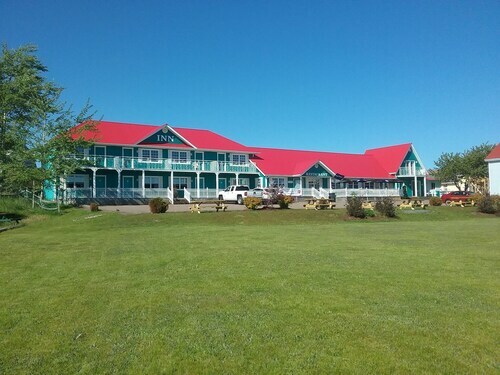 Nestled on the beach, this Little Pond bed & breakfast is 0.9 mi (1.5 km) from Sally's Beach Provincial Park and 4.5 mi (7.3 km) from Annandale Range Lighthouse. Rollo Bay Greens and The Myriad View Artisan Distillery are also within 16 mi (25 km). Situated in Hermanville, this inn is within 12 mi (20 km) of Souris Visitor Information Centre, Souris Lighthouse, and North Lake Harbor. Rollo Bay Greens and The Myriad View Artisan Distillery are also within 12 mi (20 km). Situated in Saint Peters Bay, this bed & breakfast is 1.7 mi (2.8 km) from St. Peters Destination Centre and 1.9 mi (3.1 km) from St. Peters Courthouse Theatre. 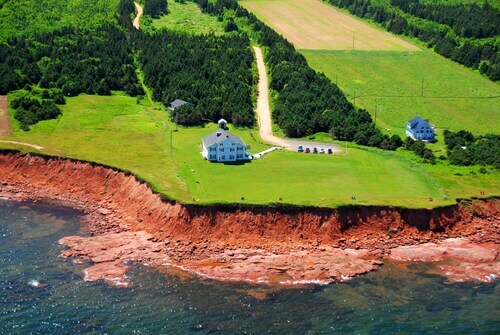 Greenwich, Prince Edward Island National Park and Greenwich Beach are also within 9 mi (15 km). 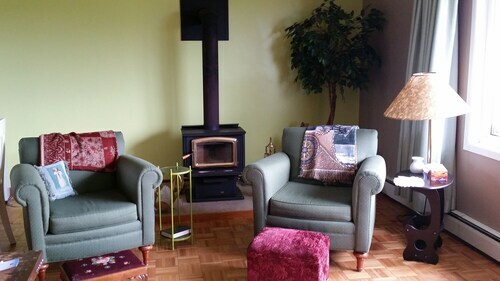 Situated on a river, this cottage is within 9 mi (15 km) of Cardigan Area Heritage Centre, Brudenell River Provincial Park, and Dundarave Golf Course. 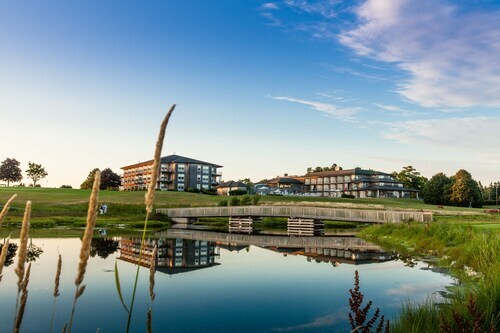 Brudenell Golf and King's Playhouse are also within 9 mi (15 km).